ECS-based Game Engine powered by MonoGame for C# games. Now its time to finally learn how to use GeonBit to make your next awesome game! /// Your main game class! /// Initialize your GeonBitGame properties here. /// TBD add any custom Update functionality here. /// Initialize to implement per main type. /// TBD create your scene, components and init resources here. /// The code below contains a simple example of how to use UI, camera, and basic entity renderer. /// Draw function to implement per main type. /// TBD add any custom drawing functionality here. /// Note: since GeonBit handle its own drawing internally, usually you don't need to do anything here. The GeonBitGame class is your main game class. Use its Constructor to init some creation-time params. Use its Initialization function to create your scene, prototypes, objects etc. Use its Update function to do some custom global updates, which are not related to any specific component. Use its Draw function to add any special drawing functionality. As mentioned before, GameObjects are the basic entity in the Entity-Component model. Everything in your game is a GameObject. If you used the GeonBit template, you can delete the content of your Game1 Initialize() code. We’ll learn it here step by step. The code above will create an empty GameObject called player, with a simple node type. We’ll go over node types and their meaning later, but right now all you need to know is that a simple node type don’t do any culling or optimizations, and is the best fit for objects you expect to always be visible. /// Main for the game itself. /// Create the game class. /// Override this to implement Update() function for your game to be called every frame. /// Override this to initialize game scenes and load data. /// Override this to implement custom drawing logic. Take your time and explore the different Components found under namespaces GeonBit.ECS.Components.*. These are the basic tools that you use to build your game. When using GeonBit you shouldn’t access MonoGame’s ContentManager directly, but use GeonBit’s ResourcesManager instead. To access the ResourcesManager from inside GeonBitGame or a custom Component, simply use the Resources getter. Its API is fairly simple and staright forward. The built-in Components cover basic generic things like rendering, sound, physics, etc. But they do not cover game-specific elements like monsters AI, player controllers, and aspects of your game logic itself. Those things are yours to make. /// A component to move the sphere using the game controls. /// Do on-frame based update. In the code above we defined a new Component type, called PlayerController. The first function, Clone(), is something basic all Components must implement. It should return a copy of the Component itself. The second function, OnUpdate(), is the interesting part. This function as an event that will be called every frame, provided that the GameObject the component is attached to is currently alive and enabled (more on that later and the subject of events). We use the GameInput manager to check if user pressed interesting keys. 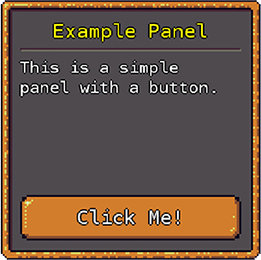 The GameInput manager is a high-level input helper that help us bind keyboard and mouse keys to abstract GameKeys. The default key settings are suitable for FPS games, and that’s why we use GameKeys.Forward and GameKeys.Backward (which are bound to arrow up and down keys) instead of GameKeys.Up and GameKeys.Down. Next we see that when the right keys are pressed we change the position of _GameObject.SceneNode. Inside a Component class, the _GameObject will always point on the parent GameObject the Component is attached too, so by moving this object the controller will move whatever GameObject it is currently attached to. And one last fill to note is TimeManager.TimeFactor. TimeManager is another manager class that help us manage game time and framerate independent movement and animations. By multiplying our movement with TimeManager.TimeFactor, we guarantee that the sphere will move at the same speed regardless of FPS rate. In real games we usually won’t really move the player like that, but use a physical body instead (explained later), but right now for the simplicity of this tutorial we will move the sphere without any physics. 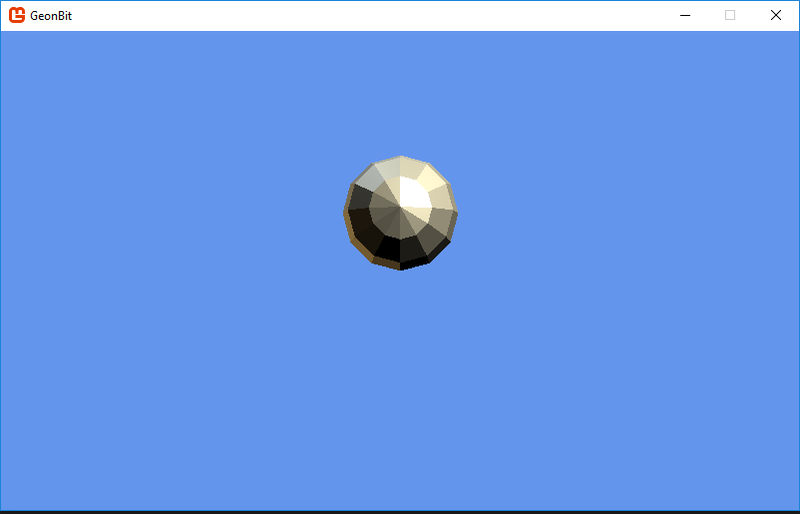 And voilà, pressing the arrow keys should now move the sphere around. When implementing a Component there are many events we can use similar to OnUpdate(). For example, we have a function to override that will be called when the object spawns or when it is destroyed, etc. We will cover the different events that a Component can respond to later in this doc. As you seen before, every Component has the OnUpdate() event, which is called every frame. Component operate via a set of predefined events that trigger at different times, like when the component is added to a new parent, when its destroyed, etc. To implement sophisticated components, its important to know the different events you can use. The following is a list of all the built-in events and how they normally behave. Triggers either when the scene loads, of when the GameObject containing the component is added to an already-spawned scene. Called when the Component is destroyed. Note: simply removing from scene will not trigger this. It will only be triggered when the component is cleared from memory (eg collected by the GC) or if Destroy() is called. Called when the Component or the GameObject containing it becomes disabled. Called when the Component or the GameObject containing it becomes enabled, after it was disabled. Triggers every frame on all objects, as part of the Update step. This is the place to put code that needs to execute every frame. Triggers on a Component before its parent GameObject is being rendered, but only if its currently visible (based on previous frame check). In other words, if a GameObject is scene node is currently culled out, it will not trigger this event. Triggers when the GameObject containing the Component is removed from a scene. This event will trigger even if its not the currently active scene. Triggers when the GameObject containing the Component is added to a scene. This event will trigger even if its not the currently active scene. Triggers whenever the Component is added or removed from a GameObject. Triggers when one GameObject with a physical-body component collides with another GameObject with physical-body component. Note: this event will trigger once per impact (when it starts), and will trigger on both colliding GameObjects components. Triggers when one GameObject with a physical-body component stop colliding with another GameObject with a physical-body component. Note: this event will trigger once per impact (when it ends), and will trigger on both colliding GameObjects components. Triggers every physical frame while one GameObject with a physical-body component is touching another GameObject with a physical-body component. Note: this event will trigger on both colliding GameObjects components. An event that triggers every defined interval (set per GameObject), during the Update step. Note: may trigger multiple times per frame, if interval is smaller than time between frames. Triggers every constant time interval on all objects, as part of the Update step. Unlike the similar OnUpdate event, the fixed update is FPS independent even if v-sync is disabled. Event that triggers programmatically, via the SendMessage() function. This provide a simple way for inter-components communication, even without knowing the other components currently attached to the GameObject. The following is an abridged list of the most important built-in components GeonBit have to offer, and when to use them. For the full list of Components and their API, please revise the docs or explore the GeonBit.ECS.Components namespace via code. Create a camera object, eg point-of-view of the player. There can be only one active camera at-a-time, and scenes without camera will not render anything. Render a simple 3d model. Render a 3d shape from a set of predefined models. Its quite common to have complex models that contain both opaque and transparent parts, and may even have different Blending States. Simple model renderers work like ModelRenderer, but have much less options and configurable stuff. This renderer sacrifice flexibility to gain some performance. Use this type for models you want to draw as-is, and by large numbers. Render a 3d model with skinned animation. To use skinned model you must set the model Processor (in the content manager) to either CPU AnimatedModel (for CPU skinned mesh) or GPU AnimatedModel + Skinned Effect (for GPU skinned mesh). Note that the SkinnedModelRenderer is a subclass of the CompositeModelRenderer entity, meaning that its made of multiple meshes and is not rendered as a single entity. Render a texture that always faces camera. Just like BillboardRenderer, but support spritesheet based animation (eg changing UV coords at runtime to play different animations). This component is a fit for a 2.5D games (like Doom, Duke3d, etc.) where enemies are animated sprites in 3D space. // create spritesheet data for a spritesheet containing 4 rows and 8 columns. 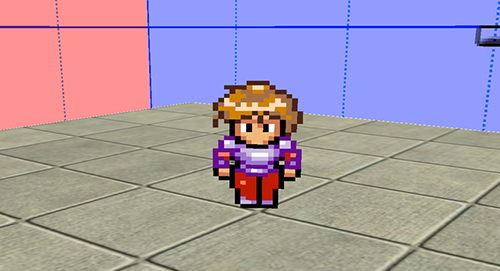 // create a sprite that uses the spritesheet data above, with "texture_path" as texture. For more info on sprites & billboard, check out the examples in GeonBit demos. Creates a light source, that affect all the built-in lit materials. // make the ambient light green. Render a 3D skybox with skybox texture. A Rigid Body is a physical body that has mass, friction, etc. and respond to forces and collisions in the physical world. Once you attach a rigid body to a GameObject it will take over its transformations and will control its position and rotation. Rigid body is what you want to use for all “dynamic” objects - monsters, bullets, moveable objects, etc. If you attach a camera to an object that is directly affected by the rigid body (but not the same object containing it), sometimes you’ll notice some “jerking” artifacts that happens due to the times where the camera, physics, and nodes are updated. To solve this, you can use the ‘SyncUpdateWith’ property - simply set the object that contains the camera as the rigid body’s SyncUpdateWith ref. A Kinematic Body is a physical body that does not respond to external forces. The Kinematic Body adapts to the GameObject transformations, meaning it will take its position, rotation and scale. Kinematic Body is what you want to use for things like moving platforms, elevators, etc.. Sometimes the player itself is a kinematic body, but that’s game-dependant. A Static Body is a physical body that does not respond to external forces and is optimized to be immobile. The Static Body adapts to the GameObject transformations, meaning it will take its position, rotation and scale. Kinematic Body is what you want to use for static things like the level itself, walls, trees, rocks, etc.. Plays background music from a media file (note: can only have 1 active background music playing at a time). Plays a sound effect (can be a 3d sound). Attach keyboard & mouse controller to a GameObject that implements editor-like controls. Be sure to attach this to the GameObject with the scene active camera. This object is great for debug and development process. A very cruel timer that destroy its owner after X seconds. Use this for objects you want to appear only for a known period of time. Helper component to create and manage a 3D tiles map. A component that spawns multiple particles based on a set of rules. Use this to create effects like fire, smoke, etc. Note that in the example above we use animator components from GeonBit.ECS.Components.Particles.Animators namespace. While we’re not going to cover them in this doc, its recommended to take a look at the different animators that come with GeonBit. You might find some of them useful, even outside of a particles system. As mentioned before, a GameScene wraps a tree of GameObjects, and usually represent a stage, level, or a screen in your game. By default, GeonBit creates and load an empty scene with a single camera, so you can easily place and see entities without any preperation code. However, its always recommended to create your own scene (or load one from a file) rather than using the default scene. The root object of the scene is an empty GameObject to you can place your objects under. Everything under this GameObject will be considered a part of this scene. Note that this action will unload the currently active scene and replace it with the new scene, which means all the non-persistent data of the previous scene will be lost. Once loaded, the scene will trigger OnSpawn events to its children. Managers in GeonBit are singleton classes that provide utilities and access API for a certain aspect of the game. Provide application-level functions as well as the currently active scene. Via this manager you can do things like loading scenes, exit the game, etc. In addition, it provides an API to save and load control settings, and switch between a set of pre-defined commonly used layouts. // create a GameObject with background component attached to it, loaded from 'background_image'. // note: you can easily do this manually by creating a new GameObject and adding the component yourself, this helper function just saves you some code. // play back_music, on repeat and 0.75 volume. // note: you can also create a GameObject and attach background music component to it if you want the back music to be attached to the scene. Manage in-game time. This manager helps you keep track on your game time, but more importantly, provide a time factor to multiply things to keep them FPS independant. For example, if you want to move a model by 50 units in game seconds*, you can multiply its movement with the time factor. // this will make 1 second in real world equals to 2 seconds in game time. A think wrapper for writing and reading serializeable objects from files located in a special game folder. If you want to dynamically read and write game files, use this manager. Provide simple API to store config-related data on disk (player preferences etc). Note: usese GameFiles manager internally. Provide diagnostic and debug data. Its reasonable to want to instantiate a specific GameObject multiple times. For example, you might want to create a GameObject that represent an enemy type, and clone it several times for different locations of your level (assuming your game have more than one enemy in it..). One way to do it is simply creating the enemy GameObject once and use the Clone() method to duplicate it multiple times. Another way would be writing a function that build a new enemy GameObject from scratch (not recommended). But the best way is to use Prototypes. Prototypes manager is a relatively simple object that let you store GameObject instances and later reuse them from anywhere in your game. Using Prototypes to instantiate GameObject types is recommended for both readability and to enjoy internal optimizations that might be added to GeonBit in the future. As mentioned before, GeonBit comes with its own UI system, called GeonBit.UI. You can find GeonBit.UI full docs here. In this chapter we’ll only go through on how GeonBit.UI is integrated inside GeonBit. Every GeonBit scene comes with its own UserInterface manager. Whenever you load a scene, its UI will also load and becomes the active UI, also accessible as GeonBit.UI.UserInterface.Active. Its important to remember that when changing UI cursor, scale, etc. you are actually affecting the UI of the currently active scene, and switching scenes might override those changes. You don’t need to worry about calling UserInterface.Draw() or UserInterface.Update(), GeonBit does that automatically.